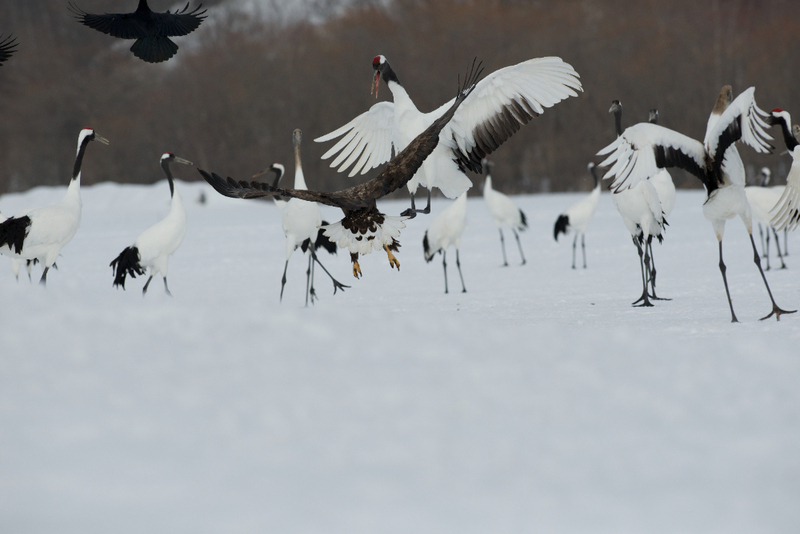 The first stop on the journey will be the frigid winter snows of northern Hokkaido where we will spend time with red crowned cranes, whooper swans, white tailed eagles, Stellar’s sea eagles, Blakiston’s fish owls, harlequin ducks and many others. And then, we will head to southwestern Kyushu where we will try to find the small handful of sandhill cranes who journey there from Siberia to spend the winter with Japan’s hooded and white naped cranes, as well as spoonbills, herons, egrets, snipes, and various waterfowl. You will have to come to the presentation to find out if the sandhills were found. The presentation is co-hosted by Sacramento Audubon and Save Our Sandhill Cranes and will be held at Effie Yeaw Nature Center at 7PM on October 15th. This is a free event. Directions to the Nature Center can be found here. Go to “Visit the Cranes” and select “Free Tours” for our free crane tour details. You can also contact us for private tours. 5930 S. Land Park Dr.